Dorothy is ministering with Partners Relief and Development located in Chiang Mai, Thailand. In 2006, Dorothy and Marv were sent out by their home church, Calvary Chapel St. George in Utah. 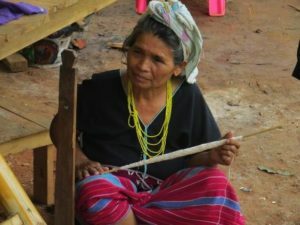 Marv is now with the Lord, but she continues to minister with the women in the migrant community on Thai/Myanmar (Burma) border and in Karen mountain villages. 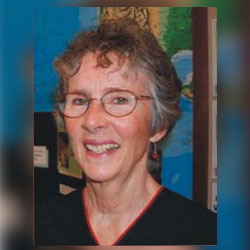 She brings the gospel through weaving and sewing livelihood projects. 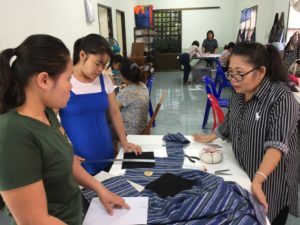 Recently she has trained women how to sew Days for Girls (daysforgirls.org) feminine hygiene kits and they are now reaching out to women in remote areas of Myanmar (Burma) and refugee camps to provide a much-needed resource for women who have nothing.